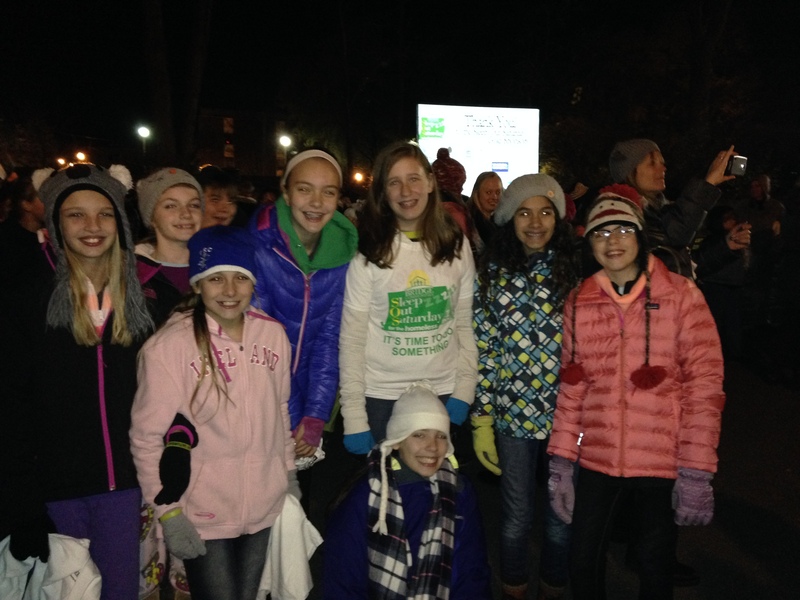 Sleep Out Saturday: What You Need to Know for 2015! It’s cold. It’s uncomfortable. It’s not easy. And every year, we are so glad we did it. Experience for yourself how Sleep Out Saturday provides the opportunity for you and your loved ones to deepen your appreciation and understanding of the hardships faced by homeless families as they enter Bridge Communities. Become vulnerable and uncomfortable for one night only and help prove we are not forgetting local homeless children and neighbors out in the cold. Sleep Out Saturday groups of all kinds and of all ages – from individuals, to families, to youth groups and clubs in the community – will experience a night of homelessness by sleeping out in parking lots, parks and backyards. Bridge Communities provides a toolkit with age-appropriate activities to make your sleep out educational and meaningful, too. All money raised from the event will support homeless families in the Bridge Communities program, funding the housing, employment training, mentoring, case management, plus tutoring and summer camps for kids. Thank you for making a difference in their lives. Join the Sleep Out Saturday movement today! Learn how you can change lives locally by participating in Sleep Out Saturday 2015 at www.sleepoutsaturday.org. For questions, contact Bridge’s Special Events Manager Chad Pedigo at 630-545-0610 x19 or chad.pedigo@bridgecommunities.org.